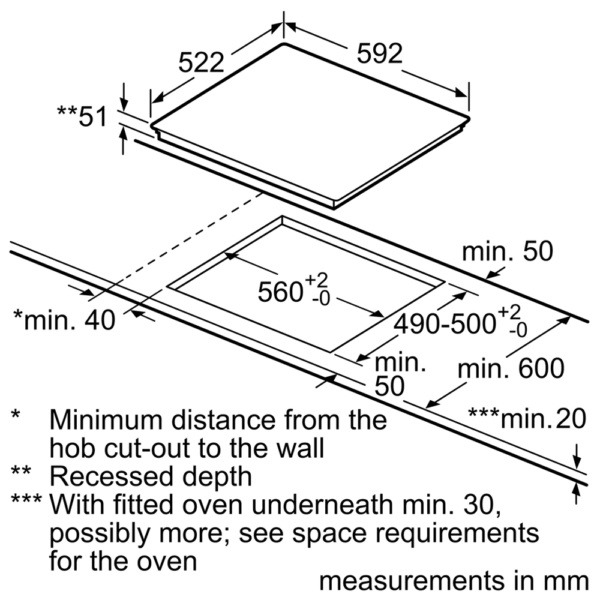 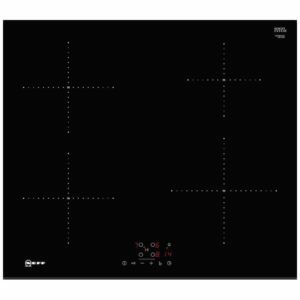 Superb energy efficient cooking from Neff! 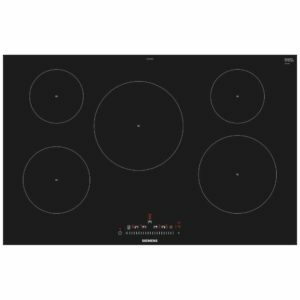 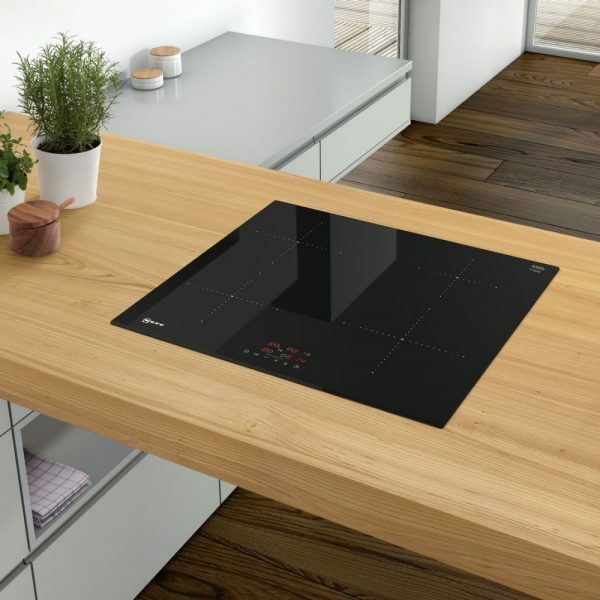 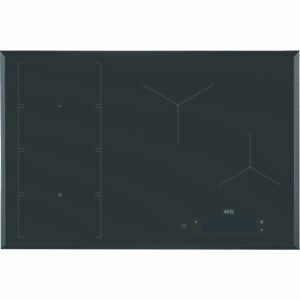 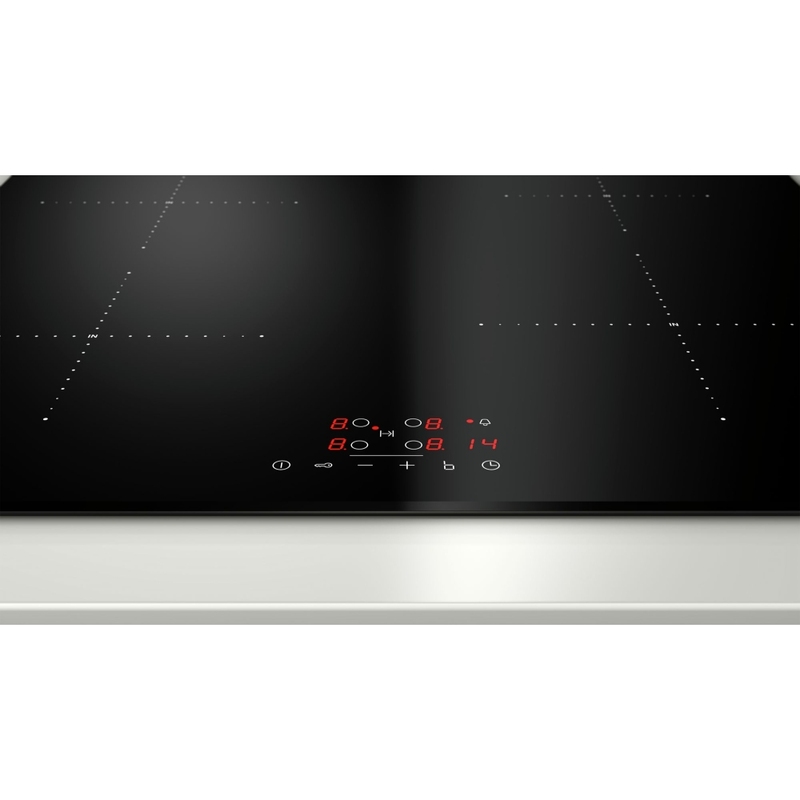 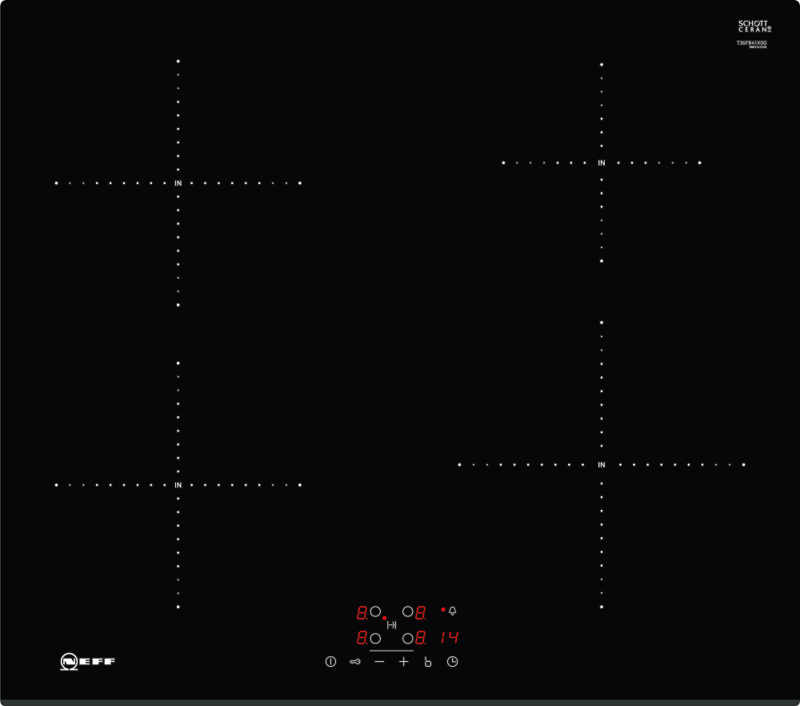 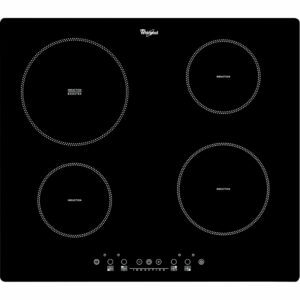 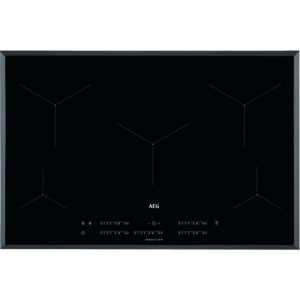 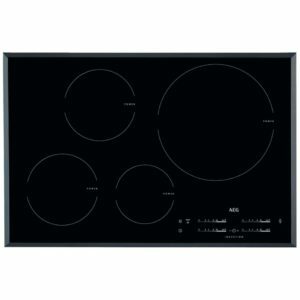 We love this black glass induction hob which boasts four heat zones, easy to use electronic touch controls and is suitable for a 13 Amp power supply. Induction cooking with the T36FB41X0G is the perfect time and energy saver, as with the automatic pan recognition, the base of the pan is the only area heated, which eliminates wasted heat and speeds up boiling. You’ll have peace of mind thanks to the safety features such as the control panel lock and safety cut out facility and the added bonus of a 2 year warranty.